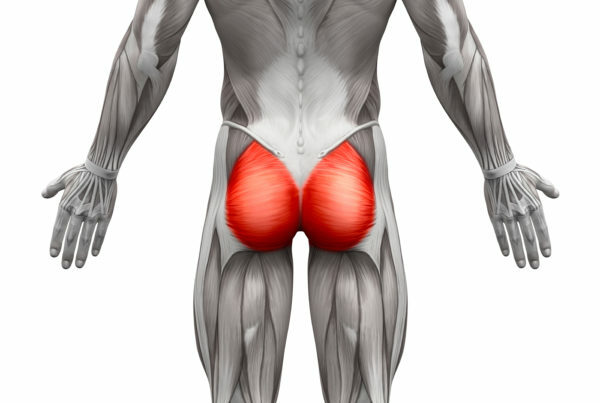 Piriformis Syndrome is a condition whereby the muscle in the buttocks known as the piriformis (Latin for pear shaped) becomes tight and/or inflamed and thus compresses the sciatic nerve (the largest nerve in the body) producing symptoms down the leg. There are many causes of this problem from poor foot biomechanics (a flat foot for example) to poor hip joint function. Prolonged sitting and exercises that promote repetitive hip flexing and straightening can also create these symptoms. Commonly bicycling is a cause of this condition. 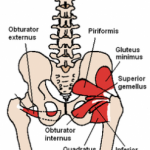 Although piriformis syndrome mimics sciatica caused by a lumbar disc bulge or herniation, this syndrome is quite different in that the source of pain is the deep gluteal muscle, not the spine. There may, however be instances where a patient has both a spine issue and piriformis syndrome. Once identified correctly, this can be treated conservatively with excellent outcomes. This is, without a doubt, a very commonly missed condition by many medical practitioners. The doctors at Sport and Spine Rehab are specially trained to identify piriformis syndrome and resolve it through a functional rehabilitation program that relaxes and ultimately supports the piriformis muscle.